Facebook joins Skype to bring in Facebook + Skype Video Chat, rolling out in the next few weeks, Mark Zuckerberg says the feature brings together two of the web's most popular consumer services. Facebook CEO Mark Zuckerberg announced the agreement company's headquarters on Wednesday. Zuckerberg said Facebook has hit a record 750 million users. The new service, rolling out from Wednesday, could be a huge boost for Skype, which currently has about 145 million regular users. 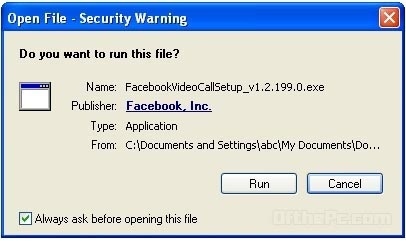 All you need to do is, one-time setup thus you’re ready to call any friend on Facebook. If your friend isn’t available, you can always leave a video message. 4. 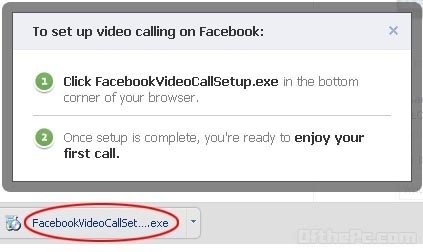 Now click the facebook video calling set up.exe file at the left bottom, download and run. Once the setup downloads and downloads and installs the necessary files, the user is ready for a face-to-face chat. 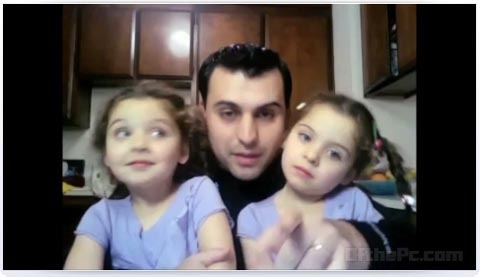 This new feature allows you to talk to your friends face to face if both you & your friend both have webcams and microphones set up, you will be able to see and hear each other in real time.